Looking for best racing ranger with exciting gameplay fullofchallenging mission? 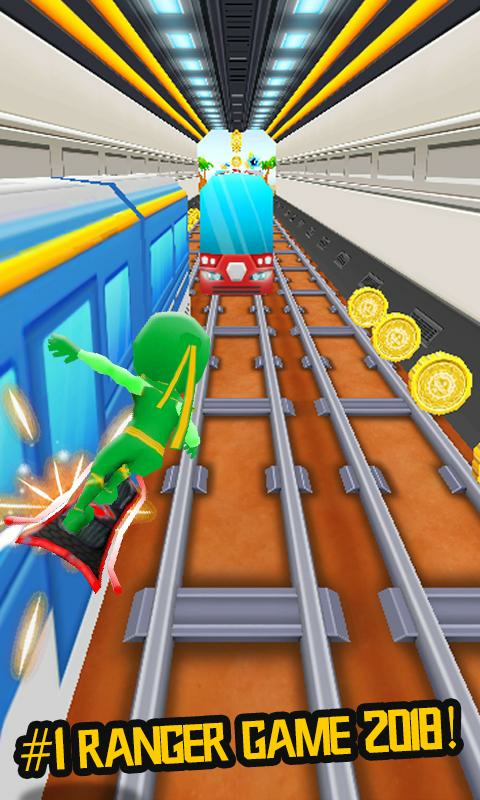 If yes, This is the game you are lookingfor,be the best Subway Racing Ranger in the city!Play this fun,endlessrunning and jumping action game and be top rank among yourfriendsand family! 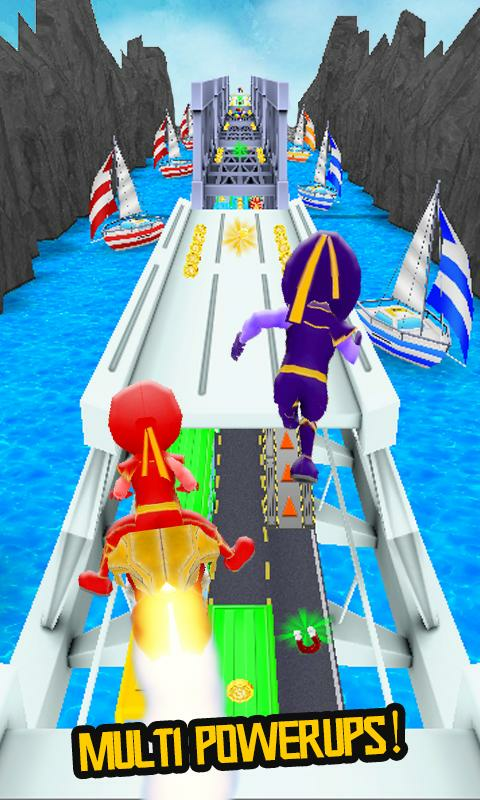 Play anywhere while you are waiting for car,train oreven during toilet time and select your favorite superrangers tocrush your friends high score.Download this best rangergame,Subway Racing Ranger 2018 City Runner that is available atplaystore now!Try to dash as fast as possible while speedisincreasing, when surf run try to get a jetbike to dash fly inskyin order to collect even more coins and super gadgets, getahoverboard to hover smoothly and get more security when hittingabus or a train, use magnet to attract all the gold coin onyourway, it’s completely free. Use cool power-ups to reach 100% ofyoursuper ranger power than release your storm to destroy allobstaclefrom your railway lanes and dodge all incoming train andbus.Dashthrough subway city, desert and sea to complete all taskand unlockall secret character! Race and run while dodging fastmovingtraffic objects in order be rank #1 among all player. Butbeware,the difficulty and speed increases as the you scorehigher! [GameFeatures]Colorful and HD graphics! Smooth responsive ingamecontrolRace and run with racing rangers!Tense rhythm thatfollowsthe gameplay Thrilling action gameplay that will keepyouentertained for hours! Endless Runner with manyinterestingcharacterBrag your friend by recording game video andshare it tosocial network Bonus Road: Subway City, Tunnel, SeaTrackyour highscore with leaderboard Subway Racing Ranger 2018 CityRunner is afun game for everyone, get it now while it is free! Play HD version of the super game of Mito World in superjungle.Super Mito World – Super Jungle 2018 is an interestingplatformerin which you travel the land and battle monsters. Plentyepic questto track down the hungry tiger who has stolen your farmfruit. Findout where the tiger is hidden and defeat the tiger toget back yourfruits! The task is to pass all level, which you findin this game.Do everything possible to solve puzzle, pick up coinsand surviveto reach the end of each of every level. You have to runquickbefore the tiger eats all your fruit. Mito Super AdventuresGame isa one of adventures award winning proudly present byKingstoo. Whenyou play this game, you have to help Mito to jump ashigh aspossible to reach all the coins. Be careful with wild animalandinsert, they are Mito's enemies. The wonder boy has to avoidthemif you do not want to lose your life. But you can makethemdisappear and get score by jump and smash on them. To playthisgame is very simple, use A key to jump, direction button tomoveand run, and B key to Attack. Play this classic game onlineoroffline you might remember your pass. We hope you will befullyentertained. So go and give it a try.. [Game Features] ✓Beautifuldesign and exhilarating levels ✓ 4 different worlds(mountains,desert, frozen, lava ) ✓ Funny boss fight with the kingof jungle ✓Many power ups, bonus levels, hidden blocks and bonusitems ✓ Retrogameplay for retro lovers ✓ Intuitive game controlthrough virtualcontrol pad ✓ Captivating game-play reminding toclassic games ✓Different kind of enemies to add to your difficultywhile playing ✓Unlock multiple game achievements while advancinglevels ✓ Amazinggame graphics with smooth controls All thiscompletely free! So,what are you waiting for? Download this amazingadventure game toget started. Play HD version of the super game ofMito World insuper jungle. Super Mito World - Super Jungle 2018 isaninteresting platformer in which you travel the land andbattlemonsters Plenty epic quest to track down the hungry tiger whohasstolen your farm fruit Find out where the tiger is hiddenanddefeat the tiger to get.. back your fruits! The task is to passalllevel, which you find in this game. Do everything possible tosolvepuzzle, pick up coins and survive to reach the end of each ofeverylevel. You have to run quick before the tiger eats all yourfruit.Mito Super Adventures Game is a one of adventures awardwinningproudly present by Kingstoo. 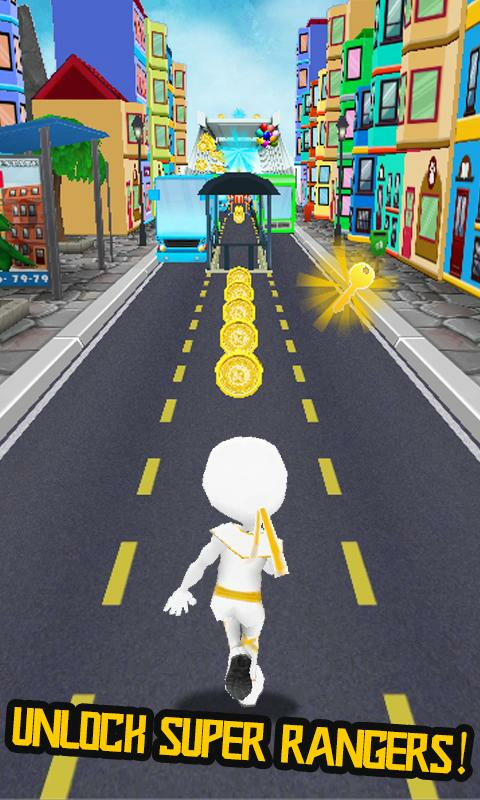 When you play this game, youhave tohelp Mito to jump as high as possible to reach all thecoins. Becareful with wild animal and insert, they are Mito'senemies. Thewonder boy has to avoid them if you do not want to loseyour life.But you can make them disappear and get score by jump andsmash onthem. to play this game is very simple, use A key tojump,direction button to move and run, and B key to Attack. Playthisclassic game online or offline you might remember your pass.Wehope you will be fully entertained. So go and give it a try..[Game Features] ✓ Beautiful design and exhilarating levels ✓4different worlds (mountains, desert, frozen, lava) ✓ Funnybossfight with the king of jungle ✓ Many power ups, bonuslevels,hidden blocks and bonus items ✓ Retro gameplay for retrolovers ✓Intuitive game control through virtual control pad ✓Captivatinggame-play reminding to classic games ✓ Different kind ofenemies toadd to your difficulty while playing ✓ Unlock multiplegameachievements while advancing levels ✓ Amazing game graphicswithsmooth controls All this completely free! So, what are youwaitingfor? Download this amazing adventure game to get started.